At first I wasn’t sure what to make of this latest book in a marvellous series. 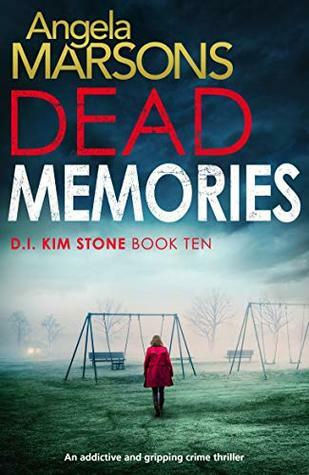 Dead Memories starts with the discovery of two teenagers chained to a radiator in a block of flats, one of whom dies. Regular readers of the series and those closest to Di Kim Stone know this is a recreation of a scene from her own traumatic childhood. Unwilling to believe someone is out to destroy her psychologically by making her relive past pain and unearth repressed memories, Kim initially refuses to counter this crime is about her. But when more murders that uncannily echo other scenes from her terrible upbringing occur, Kim is forced to acknowledge that someone is not only out to get her, but break her in the cruelest possible way. The question then becomes can she and her team discover who that might be before they succeed? I love this series. Stone is a canny, tough cop who is also smart and rarely makes a wrong move. The writing is tight and the plots generally plausible. When I first began reading this installment, however, I found it hard to suspend my disbelief based on previous knowledge of the main character. Why would Stone be so vehement in denying what everyone around her knew to be fact: that this was a copycat crime designed to inflict deep psychological pain on her? I found her denial, her refusal to include members of her trusted team, who’ve done nothing but blindly and loyally follow her, frustrating to say the least. Fortunately, at some point in the novel, some of the more far-fetched elements (eg. interviewing anyone who might ‘hate’ her – it was very “high school” but I am not sure how else it could have been achieved) and Stone’s stubbornness receded into a good, solid procedural with well drawn characters and a believable finale. I also enjoyed reading Marson’s author notes and her explanation for writing this particular novel. Already looking forward to the next installment. The first book in what’s known as the Vera Stanhope series was nothing like I expected and I mean that in a good way – and I had high expectations – expectations which were more than met. 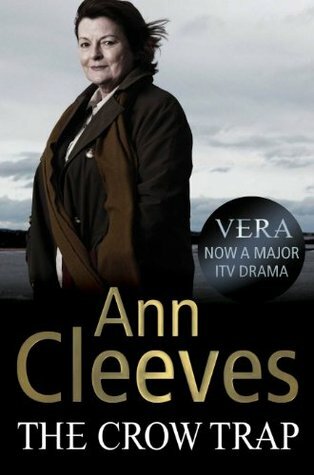 You see, having watched and loved the BBC series, Vera, I thought I had a fair idea of how, at the least, the principal characters in the TV show, Vera and her DS, Joe Ashworth would be represented. How wrong was I? In fact, Vera herself doesn’t appear until almost halfway through the book and Joe is barely there and, for a fan of the show, this is what makes this story very different. But what makes it stand out from the crime genre as well is the way in which the story unfolds. Set in a small village in the north of England, the tale opens with three women – Racheal, Anne and Grace – arriving to stay at a farmhouse while they conduct an environmental survey on an area in which a proposed quarry is set to be developed. Rachael has been coming to the area for years and has become friends with the landowners. When Rachael arrives, she is horrified to discover the dead body of one of the owners, her friend Bella. Convinced it’s suicide, it’s not until other bodies start to appear that the initial assumption appears wrong or at the very least, suspicious. But why would Bella kill herself? And what could possibly connect her to the others? And why would anyone be killing these people anyhow? Enter, Vera, stage left. A large, ungainly woman with a propensity for being a “gabby cow” (her words), Vera understands not only small village life and what people will be prepared to do to hide their secrets, but this particular area as she grew up nearby. But as the secrets start to be exposed and the various threads that connect people unravel, and the politics of environmentalism versus those with money and power start to come to the fore, more lives are put in danger. Cleeves does an amazing job of bringing a series of characters (and the setting) to life with all their warts and foibles, strengths and anxieties. A great deal of the book focusses on Rachael, Anne and Grace – a part being dedicated to each point of view. The final part is Vera’s to own, so the reader is able to immerse themselves in the world these characters occupy, understand the network of relationships they’ve formed and often long before a murder is committed before seeing it from Vera’s point of view. It is so clever. Rather than making it easier to discover the perpetrator, it is much harder, which makes you appreciate Vera’s task (and respect her results) all the more. This was a very fulfilling read that surprised me by being so character-focussed and yet not on the character I’d wrongly assumed would receive all the attention. One of Scotland’s magnificent lochs with me and my friends being awe-struck by its beauty and mystery. This is a beautiful, unctuous book that follows two storylines – that of an amateur cryptographer, Sara Thomas in the present and the life of Mary Dundas, an English/French woman living in France in the early 1700s. Tasked with deciphering the journals left my Mary, Sara is employed by a famous historian and travels to France, staying in a delightful cottage with two women, one of whom, Denise, has a young son and her very handsome and distracting ex-husband as a neighbour. As Sara starts to decipher Mary’s journals, the narrative shifts to the past and the reader is introduced to a young woman not only embroiled in Jacobite plots, but a lonely soul keen to find a sense of belonging. Asked to accompany a Scotsman escaping English justice to Paris, Mary is thrown onto the company of one Hugh MacPherson, a gruff, mysterious man who avoids company and conversation and appears to have no time for women. Mary is a story-teller par excellence and in her notes, she weaves a series of wonderful fairy tales that in themselves are rich with analogies to her present and the politics and dangers of the day, including those she increasingly faces. But as Sara uncovers more of Mary’s journey, observing the changes in the young woman and the company she keeps and avoids, she finds she’s undertaking a personal journey of her own, one that poses its own dangers to her peace of mind and to her heart. While this novel is a bit slow to start, the writing is wonderful and the characters really well-drawn. Sara has Aspergers and the way in which this is depicted is accurate, insightful and thoughtful – just like Sara. Likewise, when we first meet Mary, we are carefully introduced to her and her fractured family life, and so able to understand the decisions she makes and the personal growth she undergoes and which matches the stages in her grand adventure. She is a brave and bold soul with a rich imagination, but also possesses an integrity that shines. In fact, both the leading female characters are strong, interesting women with big hearts and a deep capacity for empathy. Their stories are parallel in many ways and yet also very different. It’s testimony to Kearsley that though she draws on real characters and events to paint such a vivid picture of history – both time and place – we also invest heavily in the folk both real and imagined. The romances that underpin this book are heart-aching and quite lovely. I also loved that characters from her earlier books made cameos – that was cleverly done. This is a really lovely story that while it isn’t a rollicking adventure or a time-slip romance, it is a slow-burning narrative with wonderful peaks and troughs that takes the reader on their own voyage. 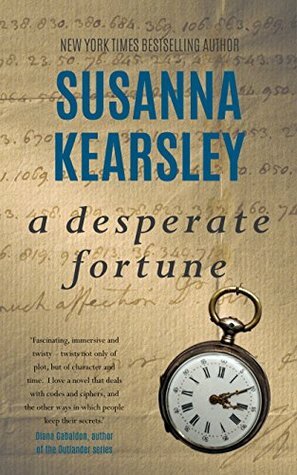 The author’s note at the end is fascinating as well and reveals the level of research Kearsley puts into her books but which never interfere with her ability to tell a damn fine story. This rather large book which covers Scottish history from the moment it was formed from fire and ice (like a leaf from George R. R. Martin’s epic), to the last referendum for Scottish independence, is poetic, inspiring, shocking, bloody, depressing, humorous and heart-achingly magnificent – often, all at once. Alistair Moffatt has recorded Scottish history from the point of view of the people – not only the lairds and royalty and figures familiar to so many such as Robert the Bruce, William Wallace, and even James VI and I, but also those who first trod its green lands, rocky outcrops and bubbling braes – the Vikings, explorers, soldiers, warriors, crofters, musicians, poets, bards, artists, and so many more. Acknowledging that mostly men populate this history, Moffat is at pains to insert womenfolk into his narrative, such as Sophia Jex-Blake – the first woman to matriculate from Edinburgh School of Medicine and who overcame great obstacles to do so – and that’s refreshing. 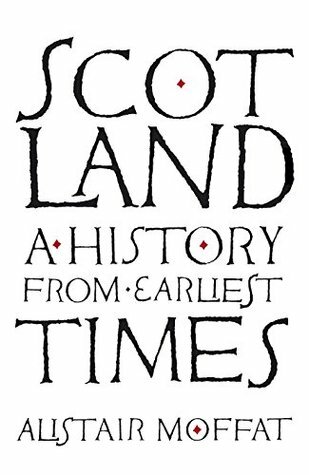 Infusing his history with richness and depth and ensuring that myth and facts both collide and yet are treated distinctly as well, Scotland and its myriad faces and peoples are brought to life. Front and centre is the complex and angst-ridden relationship with England. There are gruesome battles, efforts to wipe-out and control vast swathes of territory and clans, as well as the effective attempted genocide of certain Highland clans. Moffat unpacks the thorny politics and questionable negotiations that occur between the English and Scottish – some with self-interest at their heart, others with their country – either way, it’s all here in these remarkable pages. The divisions within Scotland – between north and south, east and west – are also clearly drawn, and often make those that divide England from its northern sister pale by comparison. As Moffat states at one point in the book, the Scots were crueller to each other than the English ever were to them. It was only in the last couple of centuries, since the reign of the Hanovers started and Queen Victoria purchased Balmoral, that Scotland was embraced – not as it was – but as a reconstructed romantic, mystical land where bagpipes, kilts and dirks and the people that wore and wielded them dwelled. Starting with Sir Walter Scott and his literary efforts, it was continued down through the centuries coming to define and reduce what is Scotland and Scottish. Moffat doesn’t steer away from calling this out, nor acknowledging the contribution such tacky merchandising has made to giving Scotland a unified commercial and sometimes useful (if only to outsiders) identity. The efforts made by Scottish and English politicians to both erode and grow Scotland’s attempts at independence – even within the Union – is fully explored, from its origins centuries earlier to the last few years. The last chapter particularly, which follows Scottish progress and political machinations from the end of World War II – the sufferings of the people, the decline and growth of particular industries, the raw, blistering fights for power and control, unions, strikes, Thatcherism, etc. are all present and accounted for. So are the many tragedies that afflicted the people over this time – from the catastrophe of the sinking of the Iolaire, to Lockerbie, Dunblane and others, but also the triumphs of sportsmen and women, and the proud disbanding of the Cameronians after 300 years of service. What I also loved about this book, apart from the ease and joy of being led through such tumultuous history by an erudite guide, was the focus on politics – whether it was the machinations of various kings and queens to wrest control of Scotland to local lads and lasses rising to become MPs and the country’s leaders, but also popular culture. Whether it was the poetry of Robbie Burns – the “heaven-taught ploughman”, or a self-educated collier or crofter, or the first on-stage appearance of Billy Connolly, the contribution actor, Deborah Kerr made to one particular industry, the socio-political impact of the film Trainspotting, or all quirky the side-notes about religious figures, inventors (and Scotland produced some of the greatest, especially during the period now known as the Scottish Enlightenment – something which blossomed as a direct consequence of universal education), artists, the Stone of Destiny, but also the pride Moffat clearly feels (and which imbues the entire book), in being able to say over and over: this was Scotland’s contribution to, not just the UK, but the world. It’s a mighty one indeed, just as this book is a fabulous addition to Scottish history which will be loved by history buffs, Scotophiles (I confess to being one), or someone who just enjoys a great non-fiction book that reads like a wonderful work of fiction – in other words, not dry, but capable of firing the imagination and passion. One cold, English evening, a mother walks her child home from after-school care when tragedy strikes. The novel then takes two primary points of view: a grieving mother’s, Jenna Gray, and that of detective Ray Stevens. The story covers many months and the reader is taken into the dramatic changes that Jenna’s life undergoes, how she copes with her decisions and those made for her and slowly, painfully, starts to build a different future – at least she tries until the past suddenly and cruelly catches up with her. For Ray and his team, the case that shocked and upset them slowly becomes another cold one: an unsolved crime which eats at their equilibrium. For Ray, and his new colleague, it’s particularly raw but time and crime make other demands of them, that is, until sheer persistence brings a fresh lead… a lead that challenges their faith in humans and in their skills. 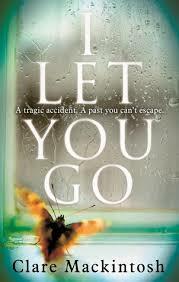 This is an utterly gripping book. At one level, I suppose it is a crime/mystery book, but it is also much more than that and, in its structure and focus, it’s quite unlike any other book I’ve read before. The first half is a fantastic study in character, families, grief, desperation, guilt, and how life and relationships make and break us. How we have to live with the choices we make: good and bad. The way MacIntosh draws us into not only Jenna’s attempts to rebuild her shattered life, but also Ray’s devotion to his job, guilt over his family and the trials he and his wife, former cop, Mags face when dealing with their teenage son are raw and real. The personal relationships Ray takes for granted as well as the professional ones he does not ring true as does his self-reproach and constant second-guessing of what he could do better. Jenna’s world and Ray’s come crashing down around them for different reasons and by the time they do, you’re so invested in both of them, it’s s genuine kick in the heart. The sometimes injustice of justice is front and centre. The second half of the book, after shocking the reader with a twist that some might see coming (I sort of did, but it was no less breath-taking because I did), introduces a new voice and a further examination of relationships and what people will tolerate, sacrifice and deny in order to save face, love, themselves. It is heart-wrenching and difficult reading at times, but it’s also impossible to put down. The ending is a kick in the guts, nail-biting and gratifying – but also completely suspenseful. I stayed up far too late to finish it as I couldn’t bear going to sleep not knowing how the book concluded. While I imagined a dozen different scenarios, not one came as close to MacIntosh’s outstanding climax and denouement. If you enjoy well-written mysteries, with great character development, tight plotting and believable, flawed characters, this is one you must add to your library. It is stunning.